Online advertising is similar to traditional advertising in that there are many places where you can advertise your organization. Some are more effective than others. 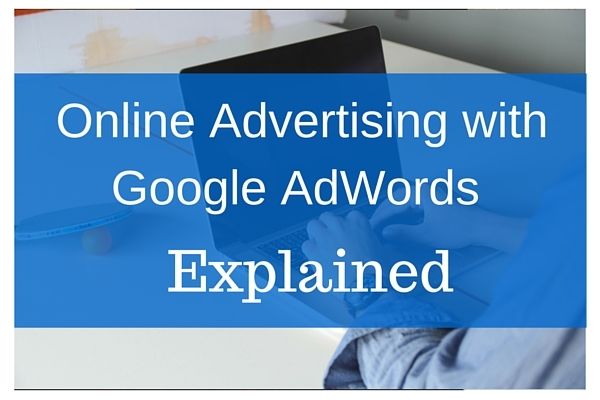 One very effective way, that often gets overlooked by non-profits, is to advertise online through Google AdWords. AdWords, also referred to as Pay Per Click advertising, is where ads are displayed after a search is performed. 1. It starts with someone doing a google search for keywords related to your website. 2. They see your AdWords ad and click on the link. 3. The result is more website visitors and more supporters of your cause. For eligible non-profit organizations, Google offers a grant worth up to $10,000 per month in AdWords credits. This means a non-profit can run ads on Google’s network, the largest search engine in the world, without incurring any pay per click expenses – up to $120,000 per year worth of clicks! But AdWords is complex, time consuming, and confusing. Most organizations do not have the technical expertise needed to successfully run an AdWords campaign. That’s where we come in. 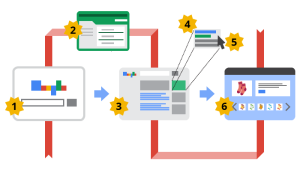 This illustration and explanation, borrowed from Google’s website, gives an example overview of how AdWords works. Match the numbers in the picture to the terms below to learn more about them. Words or phrases that people use when searching online. The essence of the information, products, or services they want to find. Also referred to as: search terms and search queries. Keywords: Search phrases you think your customers may use when searching for something related to your offerings. Ads: Your unique messages about your goods, products, or services. It can be text, image, or video so long as you describe your offering, include the key selling points, and tell customers how to respond. Targeting methods: Conditions for when to show your ads such as location, language, and so much more. Organic: List of websites that match someone’s search phrase. No one can pay to have their website show up in these results. Ads: List of ads that match someone’s search phrase. Advertisers can pay to have their ads show based on the keywords and targeting methods they’ve chosen and the ads they’ve created. Ads are also referred to as: paid results. The average price you pay each time someone clicks on your ad. Avg. CPC is useful when you want to compare the performance of different keywords, campaigns, ads, etc. Also referred to as: pay-per-click. A web page where you send customers after they’ve clicked on your ads. It should include the same details, selling points, and promotional information as your ads. Online advertising, like traditional advertising, is an important part of the non-profit marketing mix. And advertising on Google is a win:win. You win because Google is the most widely recognized search engine in the world, and you also win because Google pays for your Pay Per Click ads to run on its network, up to $120,000 per year! We offer two unique ways for you to benefit from Google Ad Grants. First, we offer a full service option where we fully administer every facet of the grant and your pay per click campaigns. Second, we offer a kick start program where we help you acquire the grant, but you manage the AdWords campaigns yourself. Either way you would like to proceed, we can help. Simply visit our website, contact us for a no obligation consultation. This article does not constitute legal or tax advice. You must contact your own attorney or tax advisor to find out whether or how the issues presented here apply to or affect you or your organization. This article was posted in Google and tagged Google AdWords.